Aloysious Kayongo has been a faithful friend of Bill and Linda since 2004, and has been the driver for the Prepare the Way Ministry van. A few nights ago, he was asleep in his bed when at about 1AM, he was awakened by his dogs barking. He looked out the front door and did not see anyone. He looked out his bedroom window and saw that two of his neighbors brought a very sick man to him for assistance. The man was weak and debilitated from both malaria and typhoid. Attempting to ride a boda or motorcycle which is the usual method of transportation could have resulted in a tragedy. 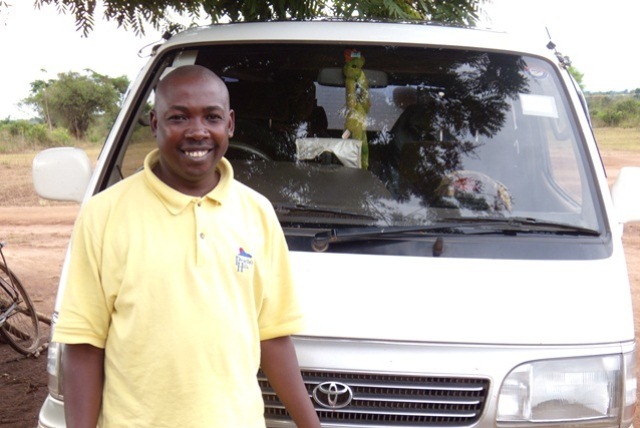 Aloysious was able to minister to his neighbors by taking the sick person to the hospital using the ministry van.